Fabulous mansion on St Charles. The owner Mr Hubbard’s stories alone are worth the price of admission. Great place in a quiet area, but right by the street car so you can get anywhere you want. Good breakfast every morning! Excellent B&B...actually, a thoroughly modern mansion where it is clear that the owner and staff have great and justified pride in their business. The entire property and grounds are impeccable; public areas are kept in immaculate condition at all times. Rooms are spacious, quiet and stylishly furnished and decorated. On-site parking in the rear is very convenient and secure. A full, hot breakfast is served in the elegant dining room.The Hubbard Mansion's uptown location is on the St. Charles Streetcar and is well away from the crush of downtown crowds...and yet is only a 10 or 15 minute Uber/Lyft ride from the French Quarter and Garden District. The Hubbard Mansion represents one of the best values I've ever seen in my 50 years of global travel. Beautiful B&B in the Garden district of New Orleans. Great breakfast, wonderful owner and host! You can't go wrong stating at the Hubbard Mansion B&B!! 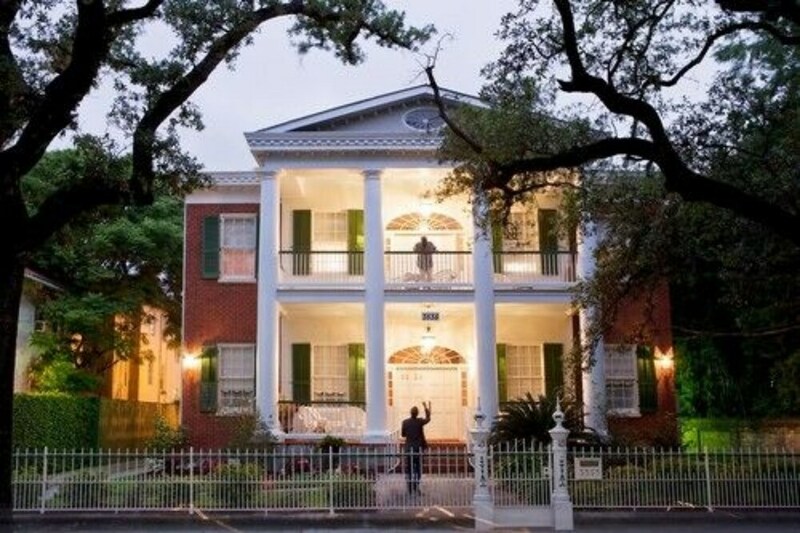 Located in Uptown Historic District, Hubbard Mansion B&B is a leisurely stroll from popular sights such as Magazine Street and Lafayette Cemetery. This 3-star bed & breakfast has 5 guestrooms and offers conveniences like free breakfast, free in-room WiFi, and free self parking. Free continental breakfast is included with your stay and awaits you each morning from 8 AM to 9 AM. Guests of Hubbard Mansion B&B enjoy free WiFi in public areas, a meeting room, and wedding services. If you decide to drive, there's free parking. Free continental breakfast is served daily from 8 AM to 9 AM. The preferred airport is New Orleans, LA (MSY-Louis Armstrong New Orleans Intl. ): 26-min drive, 16.2 mi/26.1 km.